Leading professional services company KPMG has renewed its commitment to Antigua Sailing Week for 2019. As key part of its 2019 agreement is sponsorship of the very successful Youth to Keel Programme (Y2K) which will be celebrated on the KPMG Race Day on Thursday, May 2, 2019. Y2K was piloted during ASW 2018 when 15 Antigua youths were individually placed on board keel boats racing across the classes. The Programme provides a structured pathway allowing youth dinghy sailors to gain valuable keelboat experience. In addition, two youth teams raced head to head in CSA 7 with the Antiguan team winning their class overall. Youth team on NSA Spirit during the 2018 Antigua Sailing Week. KPMG principals fraternizing with yacht crew during KPMG afternoon prize giving ceremony. KPMG’s offices in Antigua and the wider Eastern Caribbean operate across the region with a specific understanding of the cultural, economic and political facets of each individual economy. In-depth industry knowledge is available through the global KPMG network which provides access to skilled professionals, across a wide range of industry sectors. Antigua Sailing Week will be launching the 2019 Y2K programme to potential youth participants at the upcoming National Sailing Academy Open Day taking place on Sunday, December 2, 2019 from 12 – 5 pm. The day is an opportunity for youths and adults who are interested in learning to sail to enjoy a complimentary Discover Sailing Lesson in the beautiful shallow and protected waters of Falmouth Harbour. The National Sailing Academy offers the opportunity for Antiguan school children to learn sailing free of charge. In 2010 the Government of Antigua & Barbuda added sailing & swimming to the list of National Sports thus allowing these sports to be included in every school’s curriculum. To facilitate this the National Sailing Academy was incorporated as an independent non-profit charitable organization which is administered by a volunteer board. The potential benefits of this programme are manifold – to both the Antiguan community and the Yachting Industry, which is growing year by year. Click here to learn more about the National Sailing Academy and its endeavor to increasingly expose Antiguan youth to the sport of sailing. For full details on Antigua Sailing Week and the Peters & May Round Antigua Race including daily news, photos, videos and results, visit the official website:http://www.sailingweek.com. 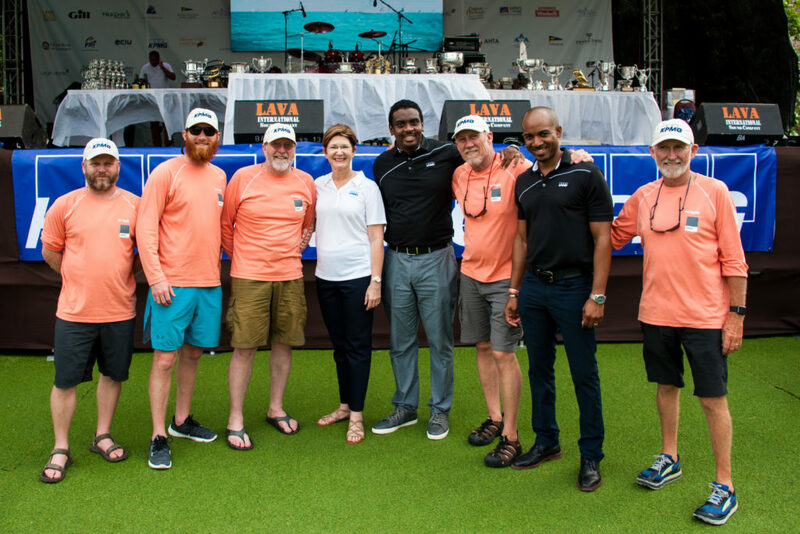 Antigua Sailing Week, considered one of the Caribbean’s most prestigious regattas, is held annually at the end of April and the 52nd edition will commence with the Peters & May Round Antigua Race on Saturday, April 27, 2019. 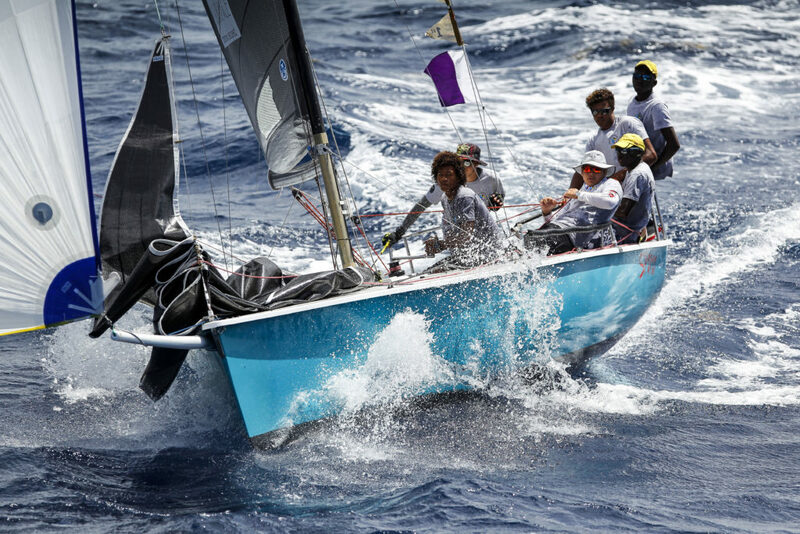 Following that will be five days of competitive racing off the rugged south coast of Antigua, which will wrap up on Friday, May 3, 2019. KPMG in Barbados and the Eastern Caribbean form part of the international network of member firms comprised of 200,000 professionals in the member firms worldwide which collaborate across industry, service and national boundaries to deliver professional services in 154 countries for the benefit of their clients, KPMG people and the capital markets. Member firms are located in Barbados, Antigua and Barbuda, Saint Lucia and St. Vincent and the Grenadines (also practising in Anguilla, Dominica, Grenada, Montserrat, St. Kitts and Nevis).